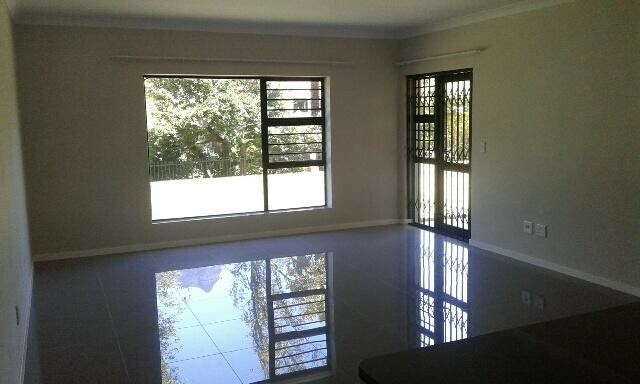 - 2 bedroom apartment on the ground floor. - Secure motorized garage included. - Secure uncovered parking bay available at extra R 550 per month. - Kitchen with built in cupboards, modern USB plug points and built in oven and hob. - Carpeted bedrooms with built in cupboards. - Bathroom with bath, shower basin and toilet. - An additional parking bay is available at an additional cost of R 550 per month.